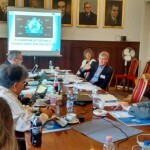 As skills and workforce development topics are reaching a momentum in the sport and physical activity sector in Europe, EOSE keeps working to provide room for new collaboration. 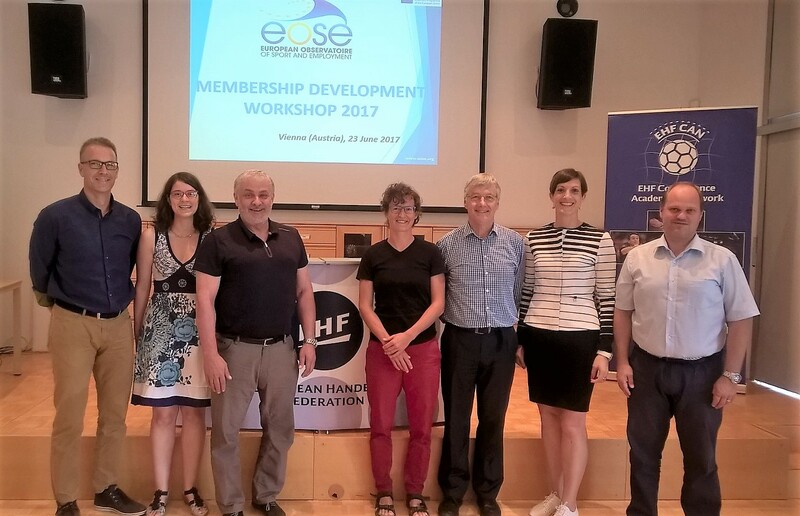 As part of its 2017 Work Plan, EOSE therefore set up a regional development workshop. 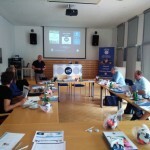 The main idea behind the concept was that this workshop should both allow each organisations to introduce each other and discuss the principle challenges meet in the field of education and employment in the sport sector but also explore paths for collaboration. 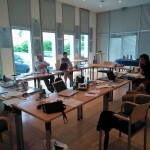 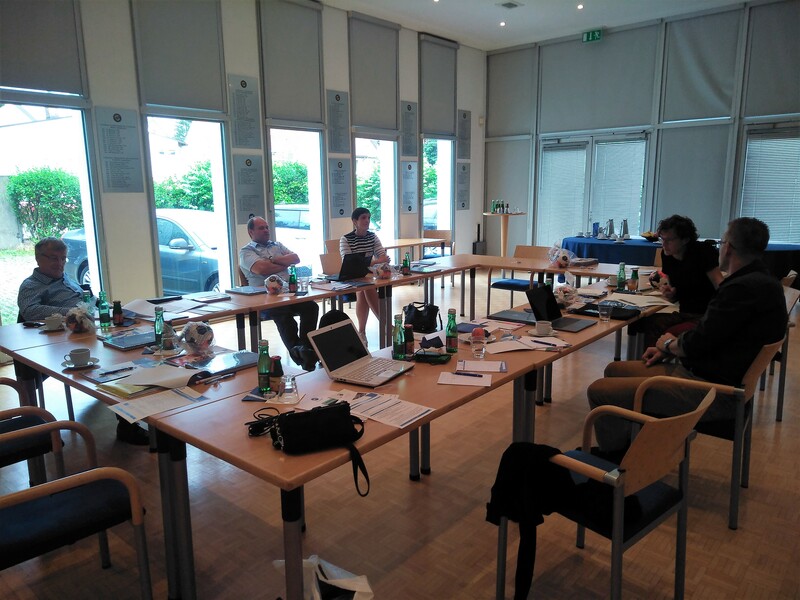 On the 23rd of June 2017, some national organisations with an expertise and interest in skills development in the sector from the Austria, Czech Republic, and Slovenia, were invited to take part in the EOSE Membership Development Workshop organised in Vienna (Austria). 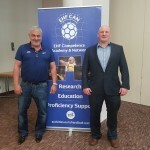 The event was hosted by the European Handball Federation (EHF) as part of the memorandum of understanding signed by the two organisations earlier this year. 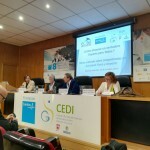 Carole Ponchon, EOSE PR and Project Manager, and Stephen Studd, EOSE Director of Development, chaired the event with the priceless help Helmut Höritsch, EHF Education & Development Senior Manager, acting as host of the event. 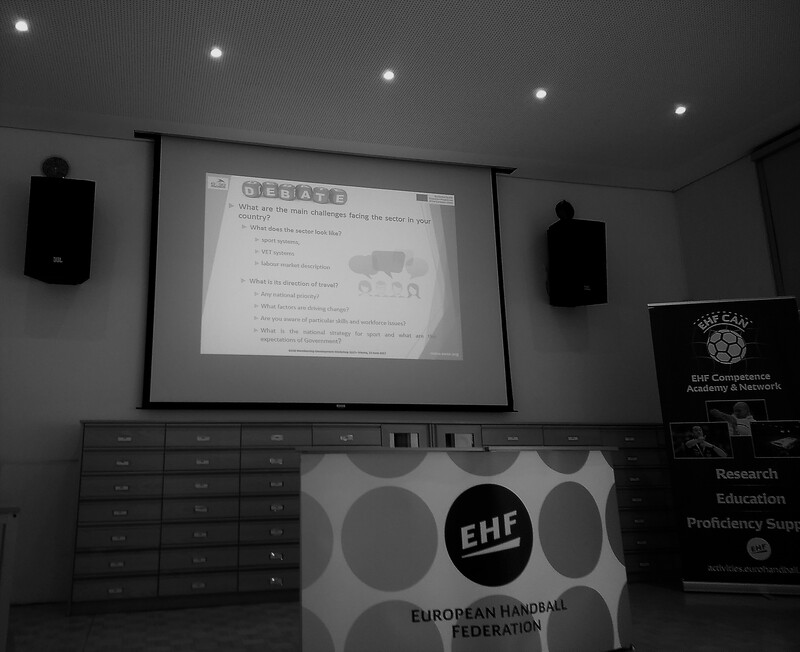 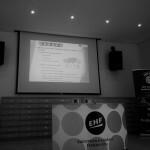 Together they showcased the reasons for the starting collaboration between EOSE and EHF and in particular the vision, work and interest of EHF towards skills development. 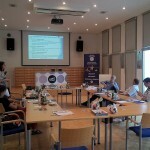 The variety of stakeholders representing the sport movement (Olympic Committee of Slovenia), the academic world (Palacky University Olomouc) and NGO (VIDC– fairplay initiative for diversity and antidiscrimination) was crucial to ensure exchange on the realities of education and training within the sport sector in Europe as well as discussions to discover the skills development challenges and realities in EU and in national context embraced the diversity of the sector’s view. 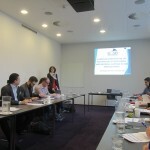 The event proved to be very successful as all participants provided priceless input and feedback and expressed interest in the work carried out by EOSE. 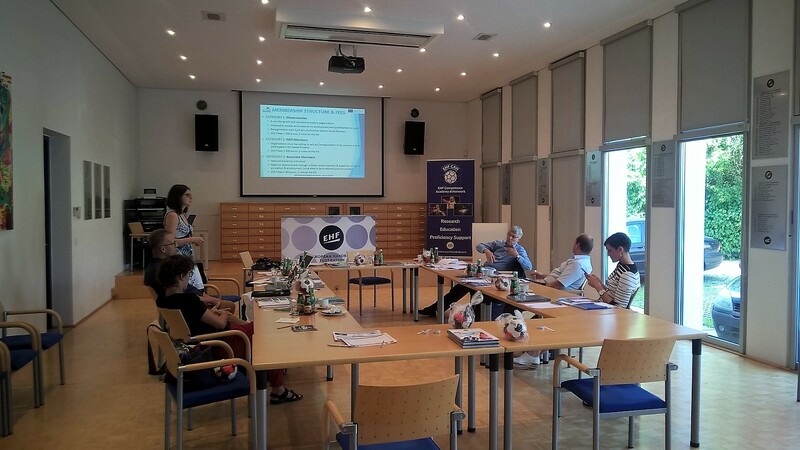 In particular, this was the occasion to facilitate the sharing of good practice in NFIL and the promotion of learning mobility in sport but also to think about the involvement of the participating organisation as regard the ESSA-Sport project lead by EOSE. 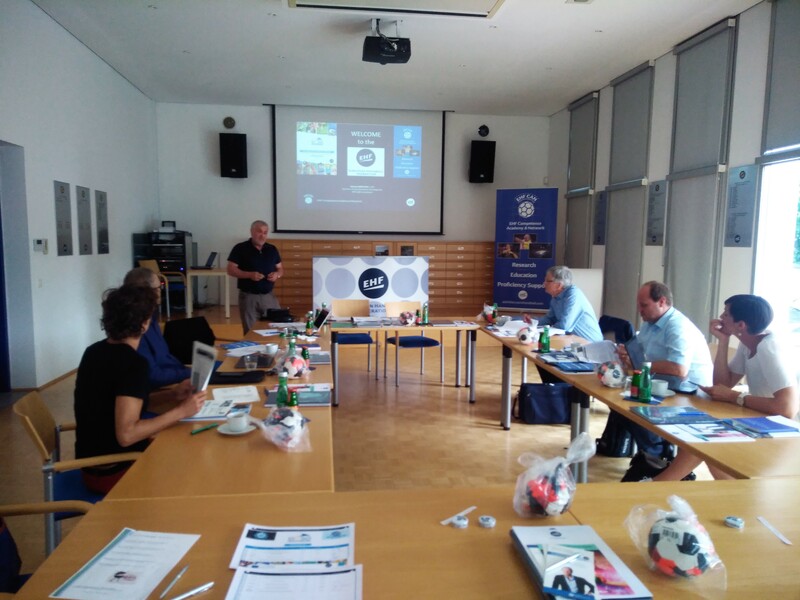 Last but not least, the workshop also provided the opportunity to get their view on the next generation of the Erasmus+ programme. 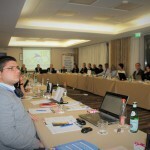 Positive feedback was received from all participants and all organisations were invited to join the membership in 2017 or 2018.